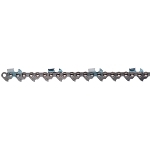 The ideal chain for high-production cutting of clean wood. Patented Chain Steel - OREGON OCS-01 steel is patented and provides greater durability, especially in cold cutting conditions. 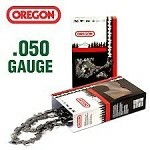 72DPX/084G Oregon Semi Chisel Chain W/ Bumper Drive Link 3/8" Pitch .050 Ga.
Oregon Saw Chain > 3/8" 050 Ga.